Are there any solo Indie devs out there, that have experience with managing a child and game development? I really don’t know how to do both, I want to work, but no matter what I do I can’t really get “off-time” from being mom, there is always something going on, from teething, learning to walk, wanting to be hold and in general wanting alot of attention. I don’t really have friends that I could ask to take care of her for some time and I don’t really want her to feel like I want to get rid of her. It just would be nice to know how other people are capable of managing their time or if they simply scrap any projects for specific age(s) of their children. But I also need those off times to relax and game development is not relaxing, even if it’s fun, I just have not inherited the tools yet that much, that I’m completely comfortable working with them without having to think about it. 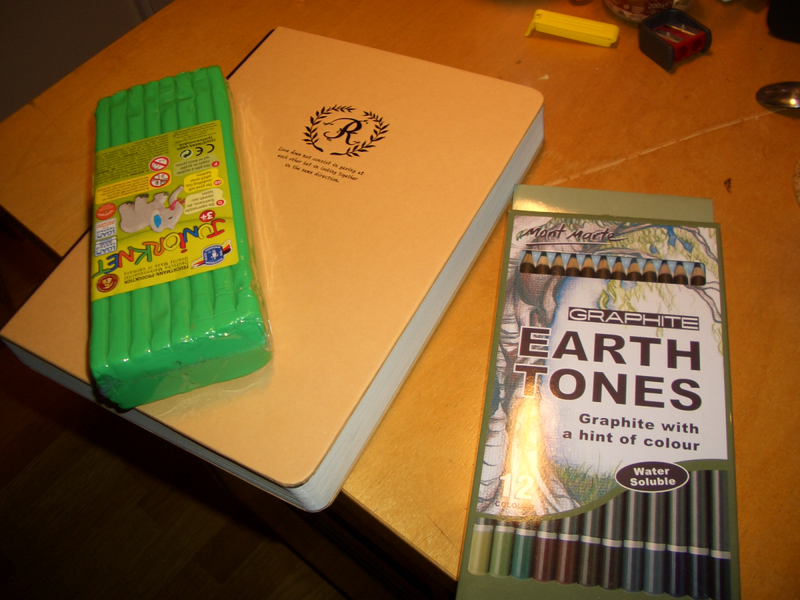 So I went out today and bought one, that for some reason I just fell in love with on first sight and also bought some non hardening clay and I stumbled over some earth tone colored pencils. Which means I will try out to challenge myself to make my game world real, while I make the actual game and also to get back into game development. My plan is and I hope I can trick my brain a little bit, to create forms with clay, can be very rough, but in general I always felt like my proportions etc. are turning out way better in modelling than in drawing, because I can “feel” the form and I don’t need to translate it immediately into 2 dimensional pictures, means I can also play around more before I settle for something I like.